Well ladies, we are so, so, so close to the start of Football season. Less than two weeks until Clemson will be taking on the Auburn Tigers in Atlanta. Still looking for great gameday outfits for this season? 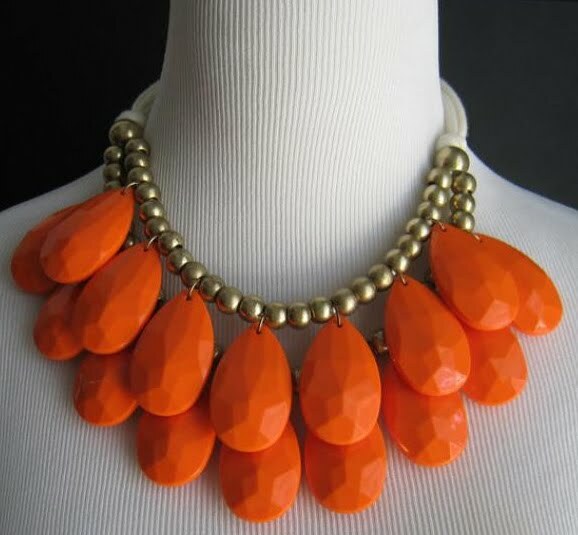 If you haven’t already, you need to check out all the great Clemson gameday apparel and jewelry from online boutique Queen of the Tailgate. Queen of the Tailgate has unique gameday outfits that are hard to find anywhere else. They purchase their apparel in low quantities to ensure that you won’t run into your ‘gameday twin’ at the games. This dress is one of my faves! 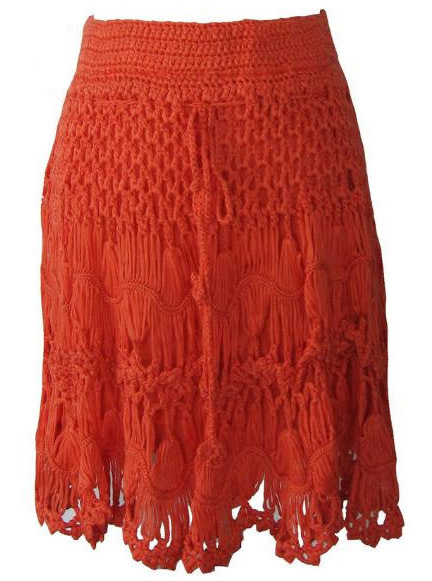 We love this crochet-style skirt that could be dressed up for work on Solid Orange Fridays, or worn with flip flops, a white tee, and this gorgeous statement necklace on gameday. 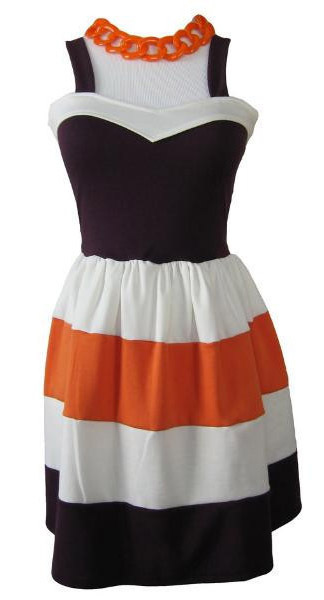 This purple and orange color block dress is great as is for the warmer games, and it would also look great with cowboy boots and a cardigan for the cooler games. 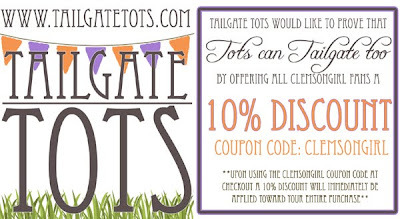 Queen of the Tailgate has a special offer for Clemson Girls – use coupon code CLEMSONGIRL and get 10% off of your total purchase. We know a lot of you are gameday shopping for more than just yourself – you have little Clemson fans who also need cute gameday apparel. You are in luck – Queen of the Tailgate has a sister site, Tailgate Tots! Tailgate Tots has a great selection of gameday apparel and accessories for your littlest Clemson fans. 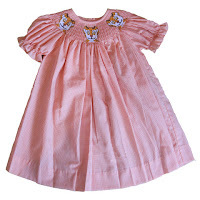 This tiger smocked gameday dress is gorgeous. 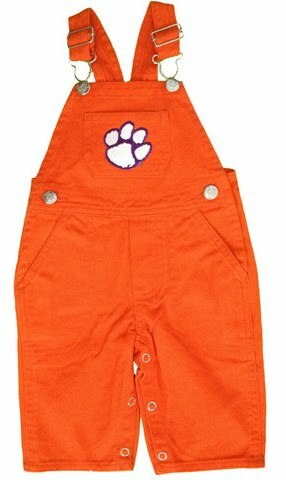 And every little Clemson fan needs a pair of Clemson overalls! 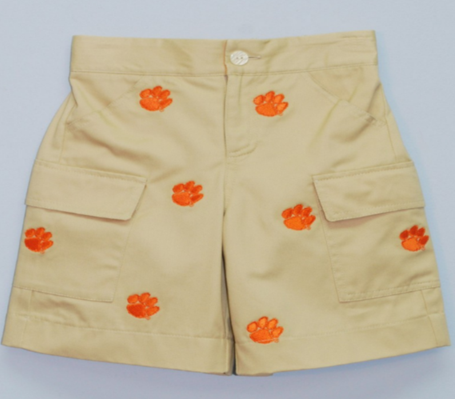 Dress your little Tiger man like his Daddy in these pint-sized version of the embroidered tiger paw khaki cargo shorts. So, so cute! 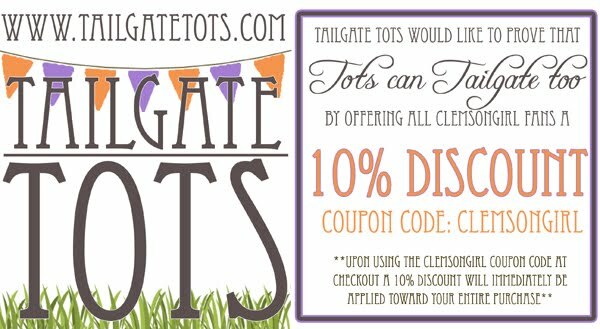 Tailgate Tots is also offering Clemson Girls a great deal – use coupon code CLEMSONGIRL and get 10% off of your Tailgate Tots purchase! Tailgate Tots would like to give one very lucky Clemson Girl a tiger paw baby bib. This bib is perfect for your own little ones or for gifting to a future mommy-to-be. 'Like' Tailgate Tots on Facebook -- then post on their Facebook page's wall, "Clemson Girl sent me! "(1 entry). Tweet about this giveaway on Twitter -- include a link to this post and copy @clemsongirl (1 entry). Deadline for all entries is tonight, Monday, Aug. 20, at 7pm EST. 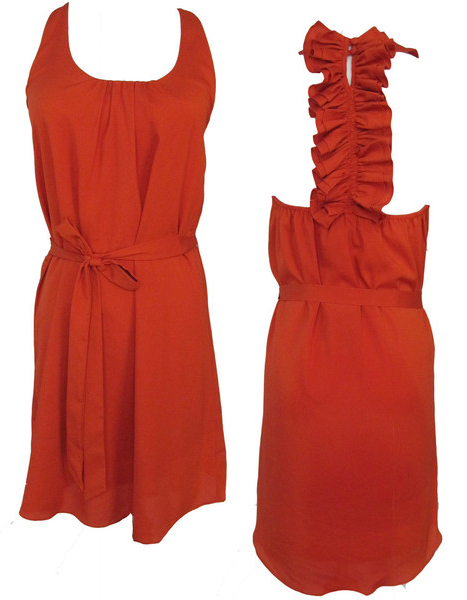 We will randomly draw a winner and announce the name back on the blog soon after the deadline. The winner has 48 hours to contact us after the post is published or we will draw a new winner.